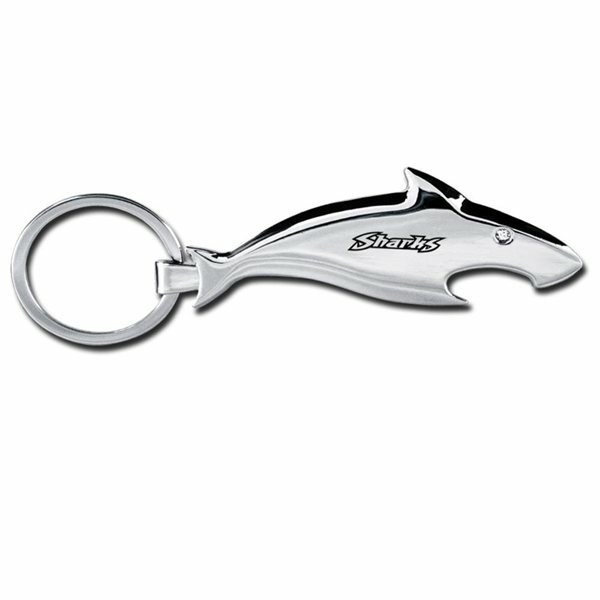 Metal shark bottle opener keychain. Worked with the budget I had. Nice item. Would have liked it in another color but these were fun and looked great! A big hit! the embroidered logo looks beautiful! We were hesitant on placing the order, but in the end we were completely satisfied. Looked just like the picture on line...even a little better. Very responsive, quality item, good color options, prompt delivery.